If you have ever been worried that you have left the door open, then what you really need is a HomePod compatible smart lock. Setting up a smart lock on your front door that will integrate with your Apple HomeKit will revolutionize your daily life. No more needing to fumble for keys or worrying that someone may be breaking into your home. Notifications can be sent straight to your iOS device about when your HomeKit smart lock is open or closed. Smart locks offer you with security and flexibility, it sets up your home’s entrance to be remotely accessible from your phone. And today there are numerous options to have a look at, many that are now easy to set up and integrate flawlessly with your existing HomePod. So if you are already running the Apple HomeKit system, then read on and learn about the best smart locks available for you to pick from. This Smart Lock is perfect as it is very easy to install and comes with voice activation. It will integrate perfectly into your HomeKit system and work out the box with your Apple Home App. It has a very sleek and modern looking design with will look very nice on your front door. This smart lock offers maximum security by keeping a log on opening and enterings of your door. Not only that but it is equipped with all the best technologies, like geofencing and an IFTTT channel. 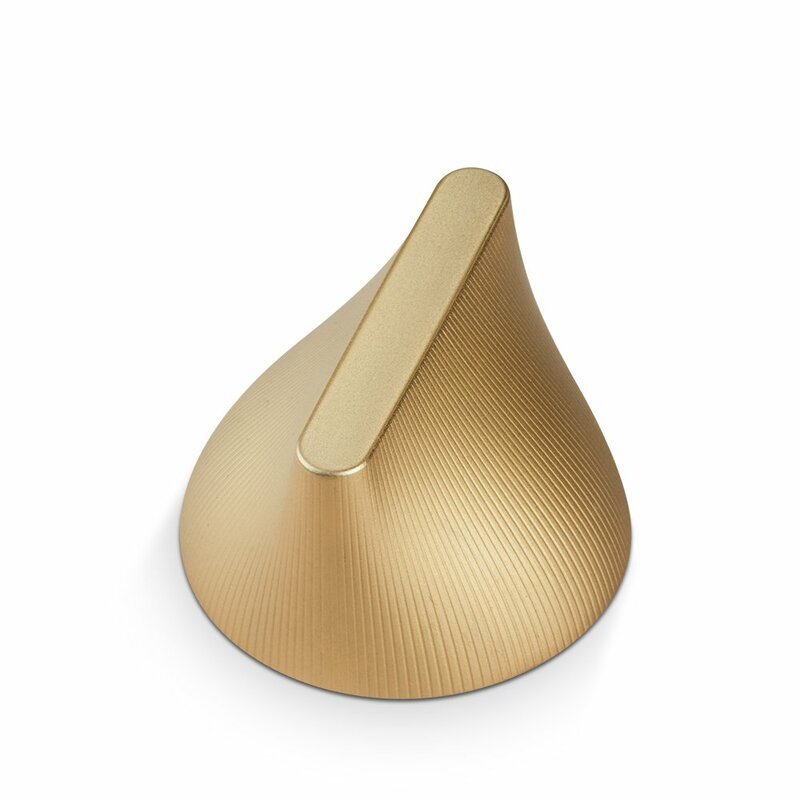 This allows it to send messages or control other smart enabled devices in your household. For example, when you open the door your favorite song can suddenly come to life on your HomePod’s speaker system. Now with Siri voice activation, everything is easy to setup and control from the get-go. A nifty set of LED indicators inform you when the door is open: green. And when it is locked: red. Another feature we particularly like is the chimes played when opened and closed. The August Smart Lock HomeKit Enabled is definitely a winner if you are looking for a lock that will be compatible with your other iOS devices. 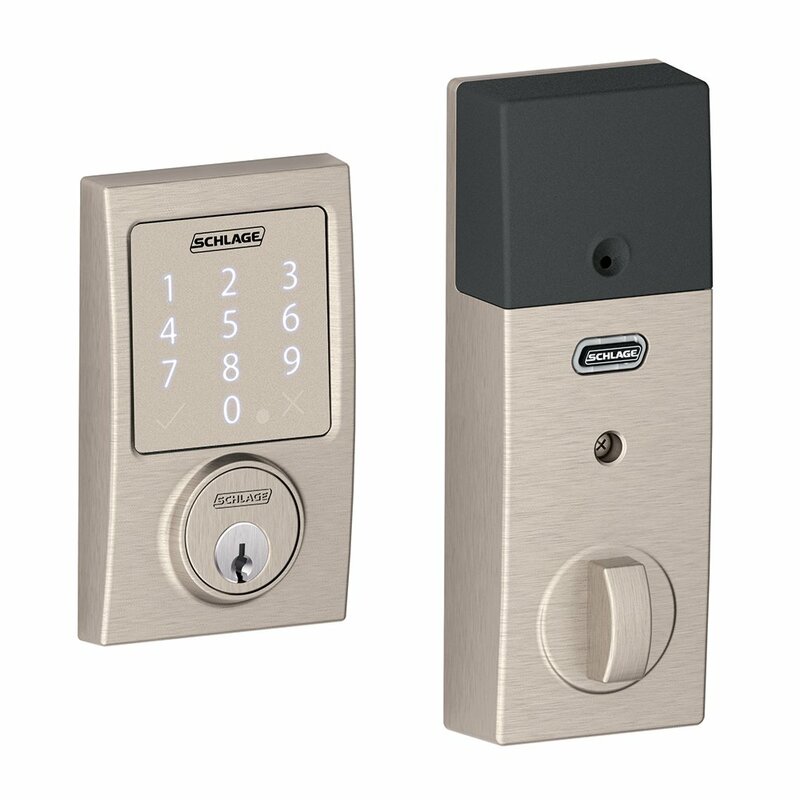 Schlage Sense another amazing option that works well with your smart home system. This lock looks more traditional and will be a perfect choice for a user looking to keep the good old fashioned key. But it still comes with all the features you need with a smart lock. It has Bluetooth so it can be controlled by your iOS devices like an iPhone or an iPad. It is a very secure deadbolt locking mechanism that comes with a flashy illuminated keypad. A nice addition to this smart lock is that it is tamper-proof, well in the sense it has an alarm to let you know if anyone is trying to break in. Again you can lock and unlock with Siri voice commands, meaning your whole family can easily control the lock remotely. The Sense comes with an app which is very easy to use, letting you set up 30 unique access codes. You can even set the codes to have custom schedules. Need to let workmen in on Tuesday? You can give them a custom code. Adding users is very easy, set up a code set the times it works and the App can even email it to whoever you need. The Schlage Sense’s App stays simple and that is why we love it, displaying if the door is locked or unlocked. And also provides you with a time stamp of the last activity. A cool feature that our readers may like if they are used to forgetting to lock the door is an auto lock. This will lock your door automatically after a predesignated amount of time. The last option we are going to have a look at today is the Friday Lock, a unique looking smart lock that can send you to push notifications. Yes, that is right, receive notifications immediately straight to your iOS device. 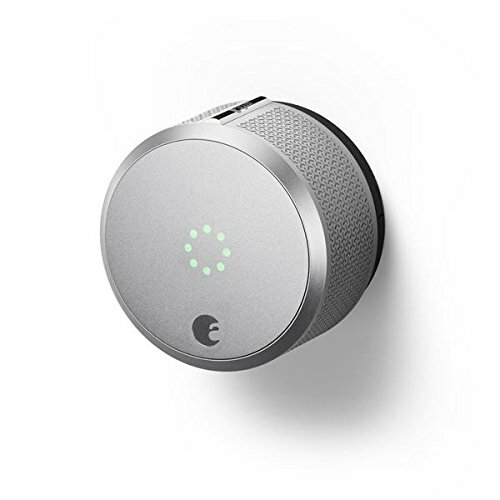 This smart lock can be HomePod enabled and use your door’s existing locking hardware. Therefore this is one of the easiest installations from different smart locks, though there are some reports that it occasionally loses connection. The Friday lock will let you open and close your door via Siri voice commands as easy as counting to ten. Again you have scheduling options to make use, to enable easy access to your home remotely. The smart lock can use Bluetooth to communicate easily with your phone. And it also comes Wi-Fi enabled so it can speak to other devices in your home. It is battery powered, a high-quality battery which will last up to three whole months, then you will need to recharge it. Definitely a premium quality option for anyone looking for an easy to install HomePod compatible smart lock. That wraps up our top 3 best of HomePod compatible smart locks for today, please let us know what you are using. We love to hear from our readers and what they are using in their homes.